It's been a while since the kids and I sat down to do something creative and I'm glad we took time over the weekend to do it. They have been looking forward to this for some time, it's just that we were so busy during the year end and they just had to patiently wait. Now, imagine how much fun it would be if you were allowed to design your own shoes, shirts and bags? I'm not sure about you but I know we were very excited to try creating our first wearable fabric art pieces! 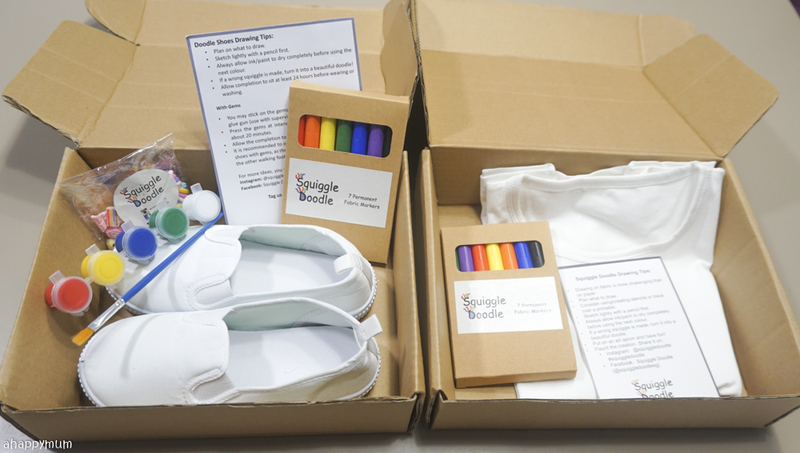 In this issue of Creativity 521, I'll be introducing you to Squiggle Doodle and sharing with you more about their fabric art products - which make for a great party activity, gift set or art session with your little ones to let their imagination flow and build up their confidence at the same time. There will also be a giveaway so do read till the end to join. Let's see what happens when fashion meets art and why my kids enjoyed this activity so much! All our items were neatly packed and arranged in these cardboard boxes when they arrived. There were also hard copy instructions and drawing tips provided so that first-timers would know how to go about doing fabric art. 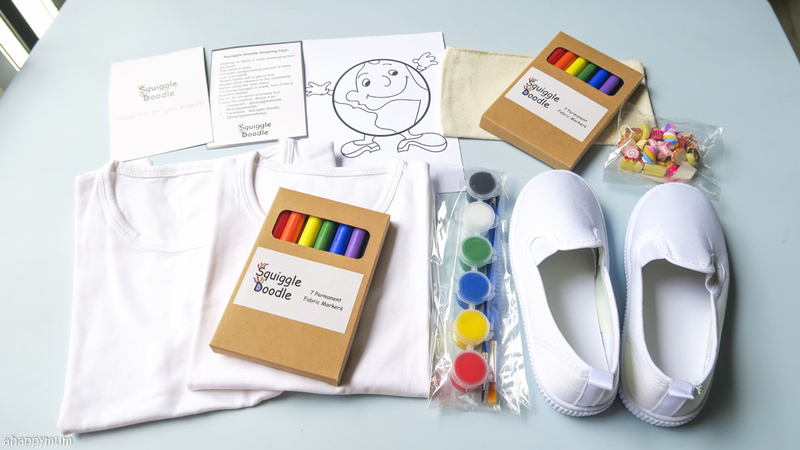 If you take a look at Squiggle Doodle's website, you will realise that they offer a small range of products, including doodle tees, bags, pencil cases, shoes, rompers and so on. These are being sold at fairly affordable pricing so while the quality of the fabric is mediocre, the fabric markers - which they manufacture themselves - are of good quality and come in very vibrant colours. 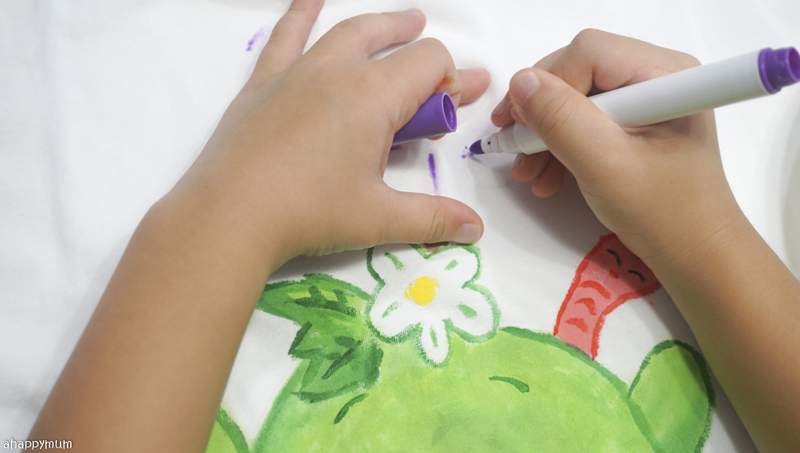 The paint and markers are both non-toxic so they are safe enough for kids, even toddlers, to use. We were most excited about the shoes because this was something very new to us so even though the girls noticed some faint yellow spots on their white canvas shoes, we knew they could be covered up later on so it didn't bother us. 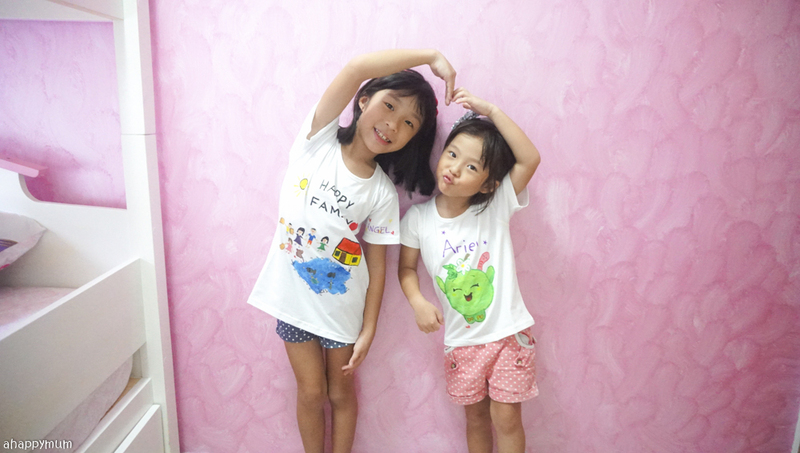 I'll be sharing about the three products we tried out, namely the Doodle Case, Doodle Tees and Doodle Shoes. 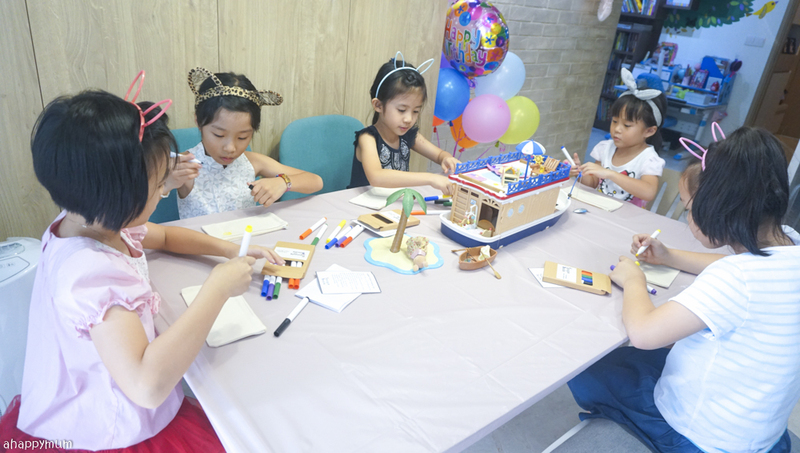 When I was planning for Angel's Sylvanian party (read all about it here), I wanted to include an art activity which was simple to do, didn't take up too much time yet one which was fun-filled and allowed the kids to be creative. I figured out the Doodle Case would be a great addition to the party and went on to order more sets from Squiggle Doodle so that each of the party guests could have one and bring it home after the party. 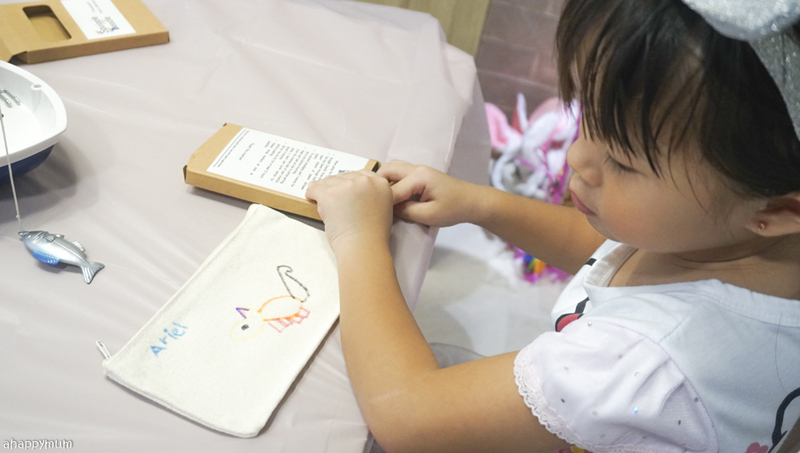 Each Doodle Case set comes with a zip canvas pencil case and a set of seven permanent fabric markers. 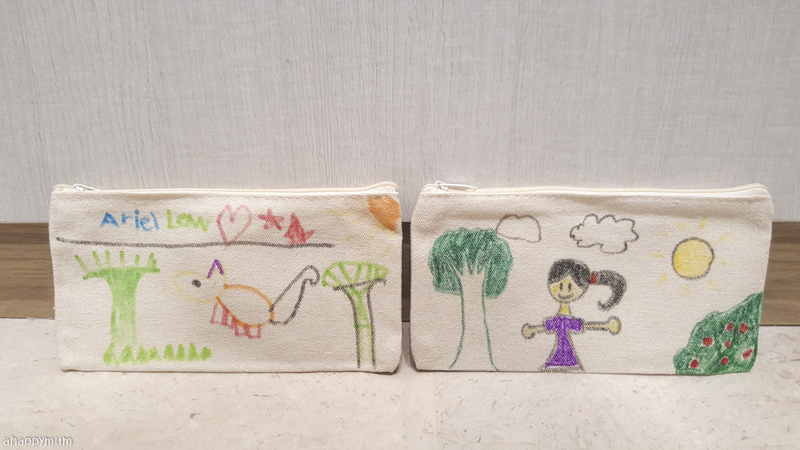 The pencil case is not too big and measures 20 cm x 10 cm, so while we don't use it for school, they are great for containing stationery when we go out (my kids love to draw and do colouring). 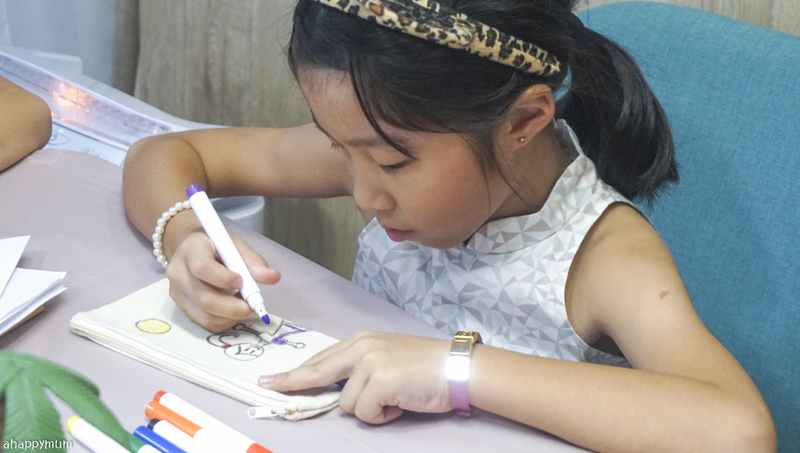 The kids took around 15-20 minutes to finish designing and colouring their pencil cases. 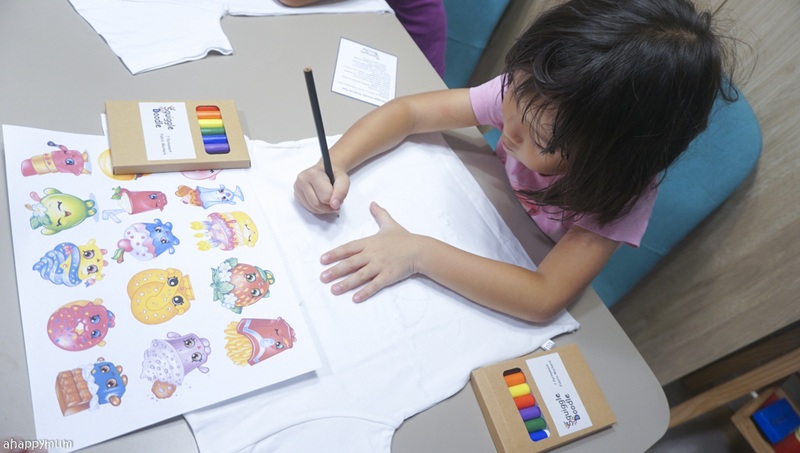 Even though it is recommended that you use a pencil to sketch your design lightly first, most of them chose to draw their own creations immediately and then proceeded to colour. Well, I think whatever works best for your child will do. The most important thing is to give them the freedom to come up with whatever designs they like, no matter what we adults think of them. Here's how their pencil cases look like in the end. If you could design your own t-shirt, what print would you want on it? Not too easy to come up with an answer, right? The kids took a while to brainstorm on this and while Angel was resolute in having a "Happy Family" theme, Ariel wanted a Shopkins one since that was the theme of her birthday party this year (I'll write about it very soon!). To help her move along and come up with a picture that truly resembles a Shopkin, I printed out some images for her to choose from. If you print a picture large enough, you can put it under the front layer of the tee and trace over it. If not, you can just do freehand drawing like what we did. Alternatively, you can also make use of drawing stencils too. While I drew the outline for her, she added in the colours on her own and this time, we chose to paint instead since the area to be covered was huge. One good thing about using paint is that you can mix the colours and blend, shade, or add in highlights, shadows etc. For our Apple Blossom (the name of the Shopkin she chose), we used a mixture of dark green, light green and yellow to create a layering effect. 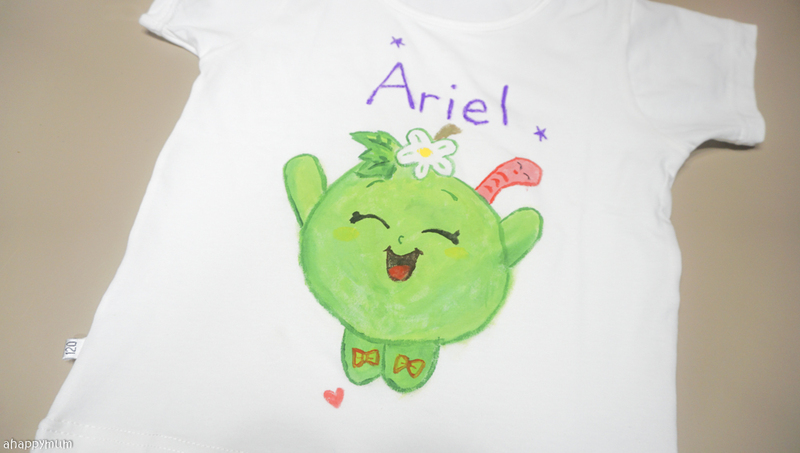 To make the tee more personalised, she added in her name at the top and this was done using the fabric markers which came in the set too. 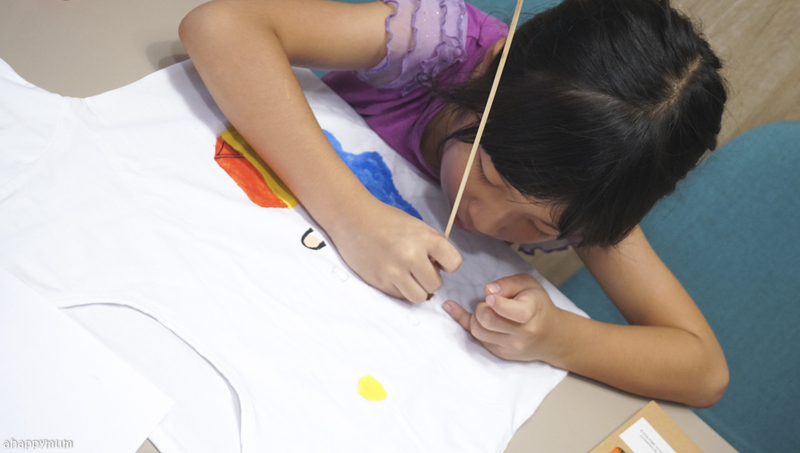 To make the lines more prominent, you have to use repeated strokes and this must be done carefully, so it really helps to build up the child's patience. 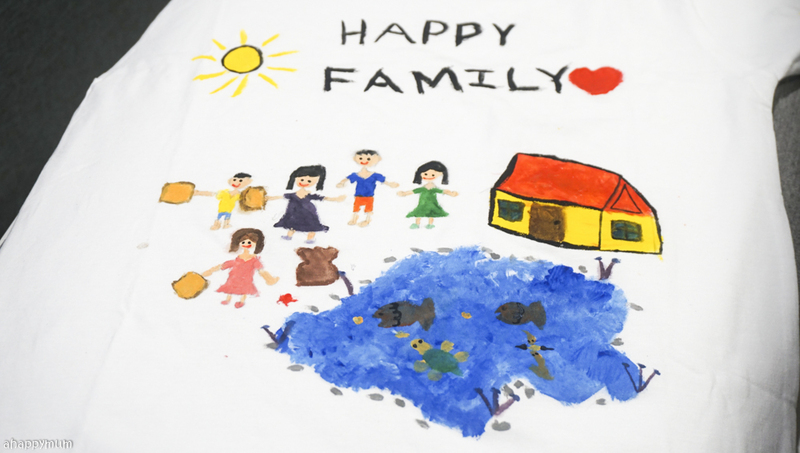 As for the big girl, she amazed me with her determination in wanting to draw a picture of our entire family and not only that, she displayed such patience when she took over 2.5 hours to finish her tee. Yes, it took her that long because she made effort stroke by stroke and every bit of her tee was done on her own. Zero help from me! She even took a satay stick when she wanted to paint the facial features because the paintbrushes that came in the set were too thick for the job. Yes, this girl has always been so meticulous and is such a perfectionist that she reminds me of myself. She drew a picture of the five of us standing outside a house by the lake, we were holding slices of bread to feed the turtles and fishes. So cute, right? As for the baby brother's tee, all of us chipped in (including the Daddy) to draw some of his favourite things - a train, a bird, a ball and so on. Here's a close look at their final tee designs. What do you think of them? The girls were most thrilled about this because it isn't often that you get a chance to wear out shoes and tell others that you designed them yourself, right? While they did use the fabric markers to write their names and draw in some designs like flowers, stars and heart shapes, they were most excited about the... GEMS! These decorations come in very beautiful and yummy designs like lollipops, macaroons, cakes, biscuits, donuts, chocolate and marshmallows. I really love all of them! Depending on the size of the shoes, you can choose the Big or Small gems, or in our case, the girls wanted to mix and then choose their favourites. 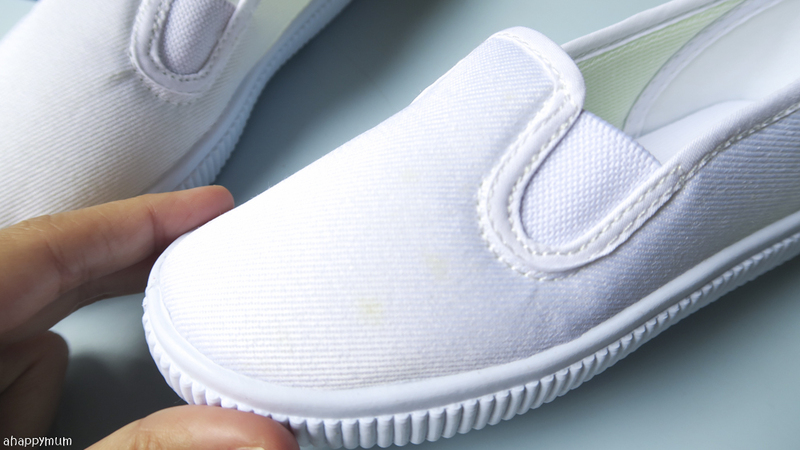 The Big shoes come in sizes 27 to 40 while the Small ones are from sizes 22 to 26. I have to say that Squiggle Doodle are very generous with the gems because after covering the front parts of the shoes (the sides are not recommended), we still have plenty of gems to spare and the kids have decided to add them to their Sylvanian collection. Just nice, right? We used hot glue to stick the gems in place but UHU glue will do the trick too. Do be careful to guide or supervise your child when using the glue gun as it's easy for the heat to burn their little fingers and hands. Ta-dah! 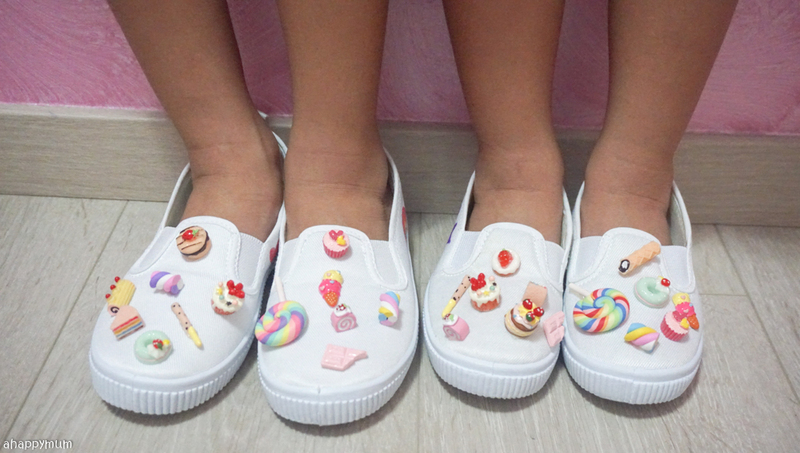 Here's a look at their completed shoes, which they can't wait to wear out and show their friends! 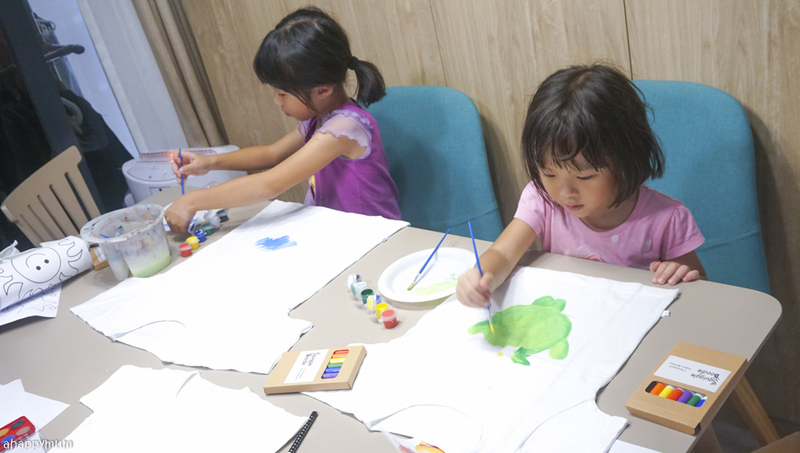 Here are more shots of the kids after their happy art session! While they might not be the most fashionable, I must say these fabric art pieces are truly one of a kind and it's really awesome to don something that is unique, personalised and in this case, self-designed! 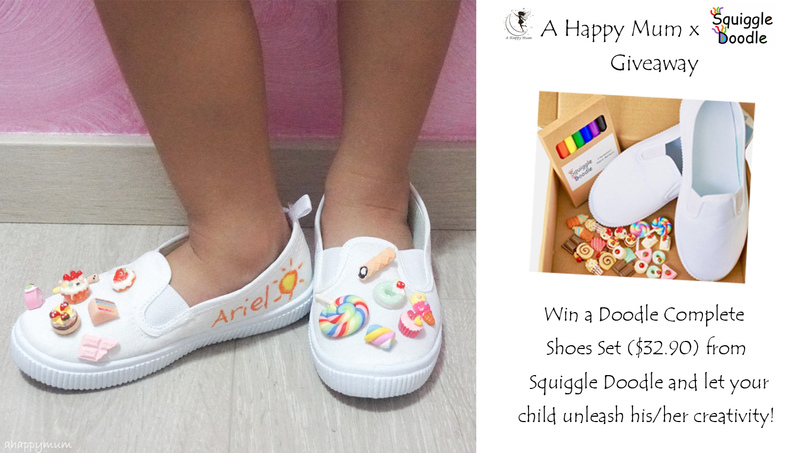 For those of you who are keen to let your child try out these fun products by Squiggle Doodle, I am giving away a Doodle Complete Shoes Set to one of you! To participate, leave a comment in this blog post with your name and email address, and tell me what you love about fabric art. Indicate that you have done so and to increase your chances of winning, you can choose to carry out the rest of the options. Best of luck! To find out more about Squiggle Doodle, visit their website, Facebook or Instagram. 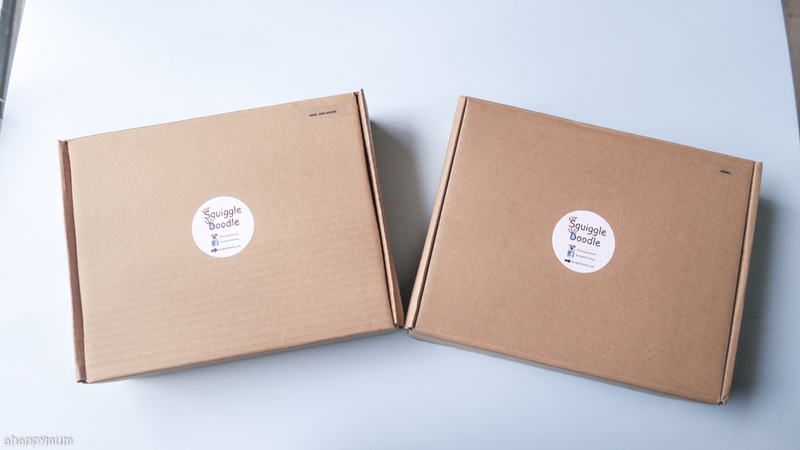 Disclosure: We received complimentary products from Squiggle Doodle for review purposes. All photos and opinions are our own. I love fabric art because it allows my kids to unleash their creativity on something which they use/wear frequently and feeling proud when they shouted out "I design it myself!" My girl is turning 2 next month and I haven't gotten a present for her yet. 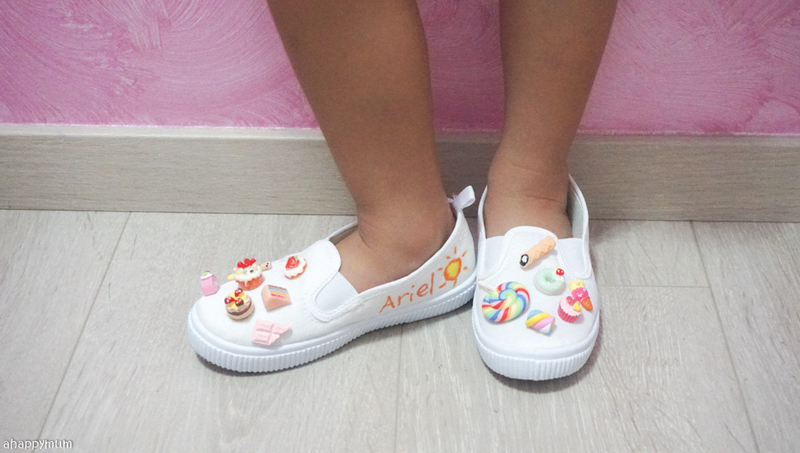 Would like to get this so that she can have her own customized shoe to wear. It will also be a good chance for me to sit down with her and let her show me/ unleash her creativity. Have never let her try such hands on item so this will be her very first artwork for herself! Hopefully I can get it! I like fabric art because after I have done it I can wear it! 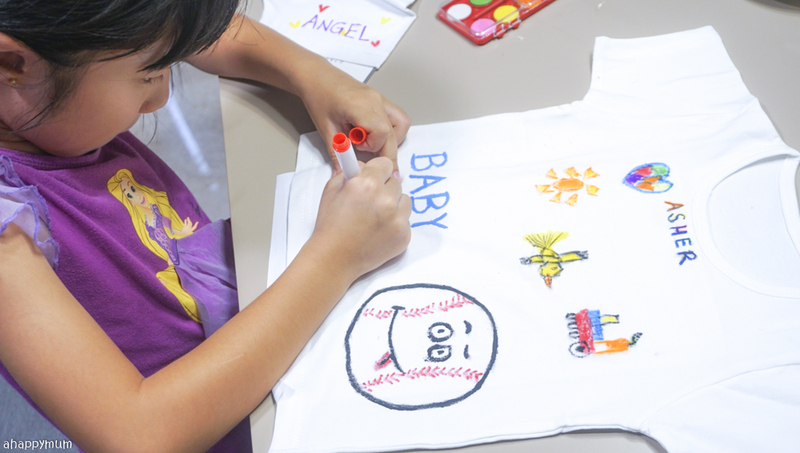 I like fabric art because it encourages creativity and have some bonding time with the kid while doing it together. My daughter loves to draw and she is always doodling everywhere she goes.. thus it will be an excellent bday present for her if i can win this as she can finally showcase her own creations to all her friends and family by wearing the shoes out! She will be very happy and proud of wearing her own creation. 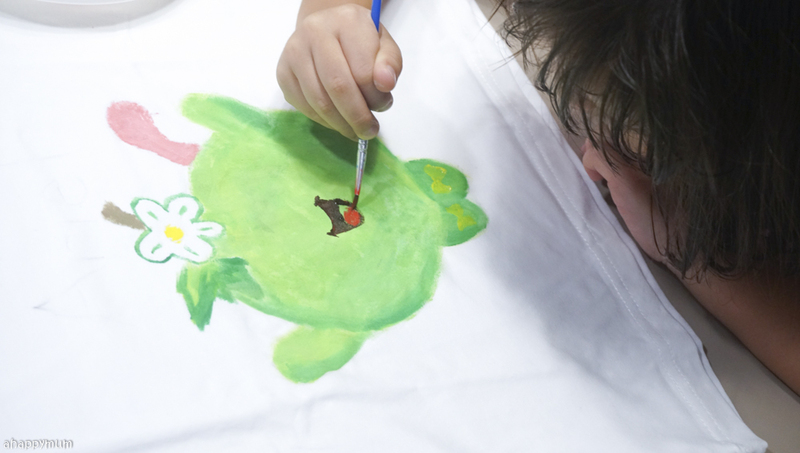 I like fabric art because it help my kid his creativity and it will be interesting if he can wear what he design it will be a great bonding time with them. 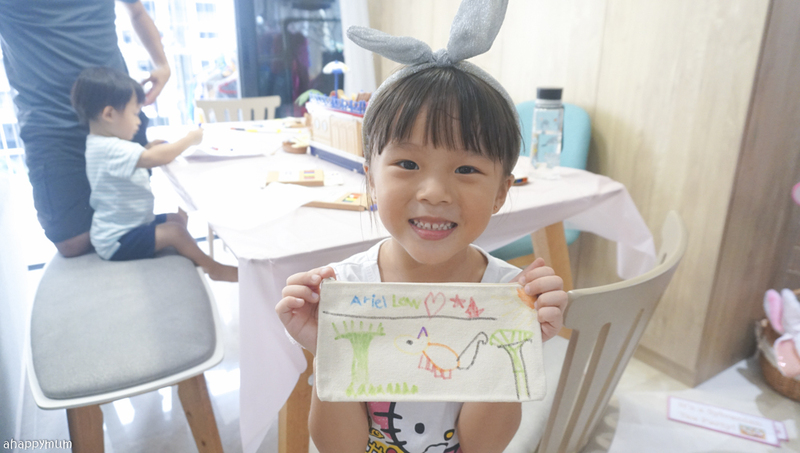 I like Fabric Art as it gives the kids the chance to express their creativity in designing something that they can wear or bring with them daily or often. Can imagine their beaming smiles and pride going around telling people how much fun they had in creating their own art pieces, be it bags, tee shirts, shoes, etc. 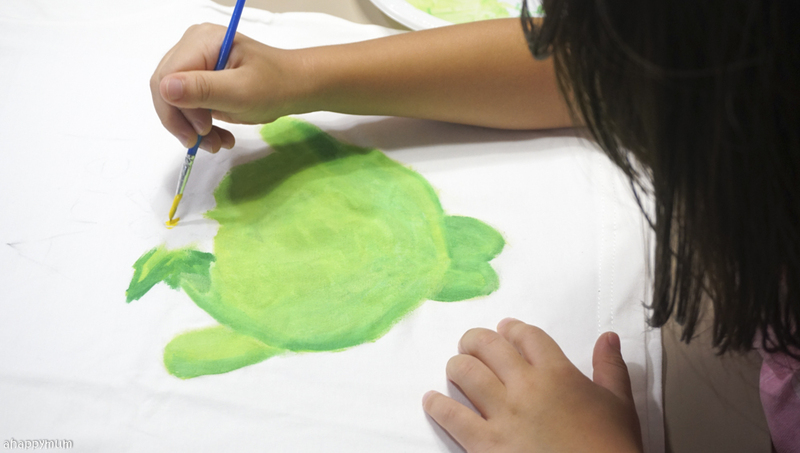 Fabric art provides the opportunity for the little ones to "splash/mess" their creativity into something tangible & usable, at the same time allow some bonding/connection time (& ocd parents screaming "no no paint here carefully"). it also reinforces the idea of recycling/upcycling where old clothes could be painted/decorated to make "new" pouches etc. Fabric art is fun for kid. She really loves diy and art and craft. She would really enjoy diy and decorating crafts and little knicknaks for family and friends. Because of my busy time working. I hope to spend more time bonding with craft activities with her. Hope to win for our next craft activity. 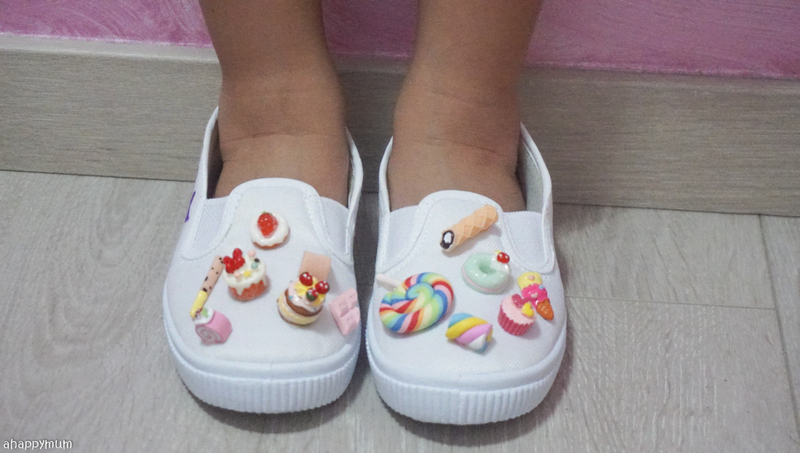 I like fabric art because the shoes look really cute with the little pop out charms and they would be perfect when my child unleashes her creativity in designing them. 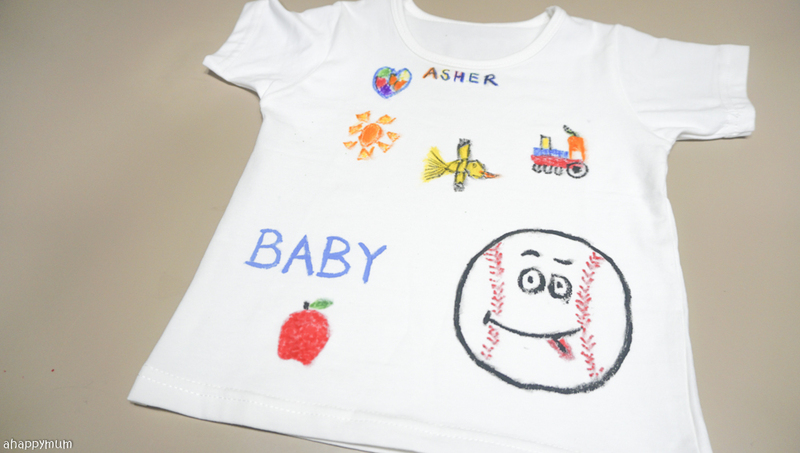 I love fabric art as it means my kids can express their creativity and wear it! I like Fabric Art because it is wearable art that my boys can proudly dorn after completing their masterpieces. I love to win this pair for sneaker for my Creative girl! She is fashionable and thus this pair of sneaker will able to bring out her creativity as well!